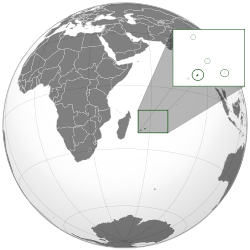 The Commonwealth realm of Mauritius, officially known as "Mauritius", was a predecessor to the modern-day Republic of Mauritius and an independent state that existed between 1968 and 1992. Seewoosagur Ramgoolam and then Sir Anerood Jugnauth held office as Prime Minister of Mauritius. Elizabeth II visited Mauritius 24–26 March 1972 in her capacity as Queen of Mauritius. 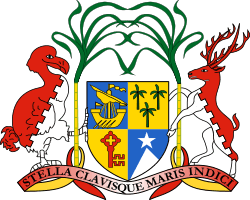 The Republic of Mauritius was proclaimed on 12 March 1992. It is the most recent former Commonwealth realm to become a republic within the Commonwealth. Following the abolition of the monarchy, the last Governor General of Mauritius, Sir Veerasamy Ringadoo became the first President of Mauritius.